Two sets of orange colored abstract 3D shapes moving around each other, spinning and rotating. Cool to sync to your music. 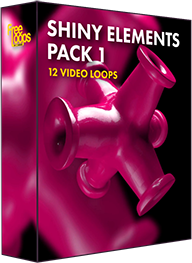 Equally awesome when used as center or background video loop, a beautiful asset for your video collections.